Issue 10 of Australian Gluten-Free Life magazine is available now and it’s packed full of amazing articles and recipes. 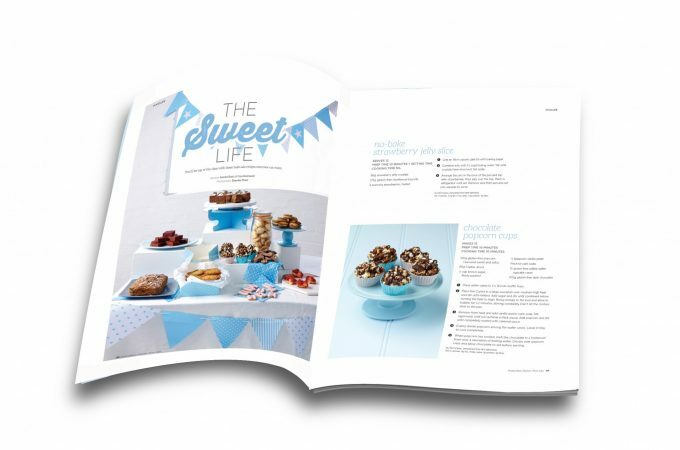 Need a gluten-free recipe for a school bake sale or party? We’ve got you covered with this drool-worthy collection of recipes. Slow cooker recipes for all seasons. Former Masterchef star Callum Hann and dietitian Themis Chryssidis share simple but nutritious meal ideas for busy weeknights. Raw food isn’t just for summer. Vegan chef Scott Mathais shares some of his favourite recipes for the cooler months. Delicious meals that can help heal your gut. Gluten-free weddings are gaining popularity. Couples share the love from their special day. Did you know that bananas were once thought to be a cure for coeliac disease? We go back in time to better understand coeliac disease. 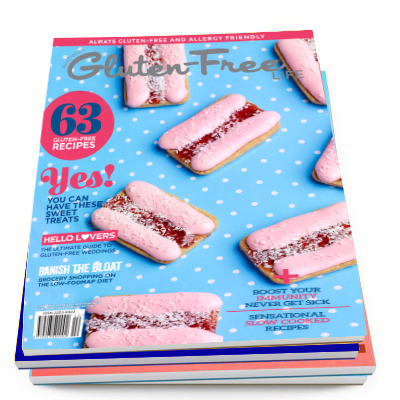 Australian Gluten-Free Life magazine is available now from newsagents nationally.